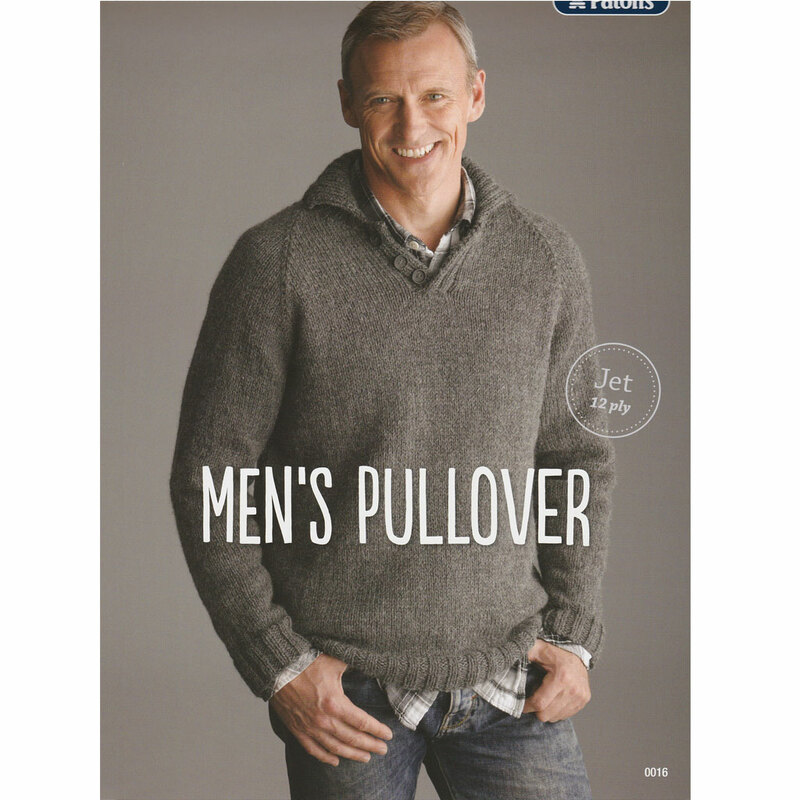 Men's Pullover with Collar and 3 buttons, in sizes XS (85cm chest) to XXL (135cm chest). This pattern is an Intermediate Knit. The design as pictured is in Jet Shade 832 (Flannel).